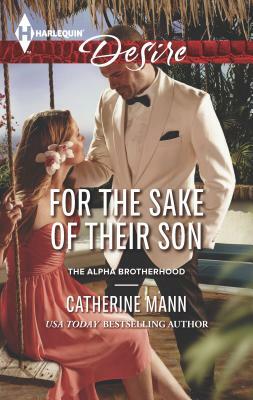 In this Alpha Brotherhood novel from USA TODAY bestselling author Catherine Mann, friendship turns to passion...with consequences. No one knows Elliot Starc better than Lucy Ann Joyner. Yet after one reckless night of passion, their friendship is in tatters. And though women line up for the race-car driver's attention, none of them help him forget Lucy Ann. Except now he and Lucy Ann have a baby, and Elliot wants a second chance. The chance to become the father he never had. The chance for best friends to become something more. But can Lucy Ann forgive the mistakes he's made and trust that he wants more than a marriage for the sake of their son?